For the past 27 years Janet Murphy’s nights have been sleepless and full of worry. Always checking in on son Jesse, and keeping an ear out for his seizures so she can get to him as quickly as possible. Jesse has epilepsy and has had seizures since he was born. Confined to a wheelchair, the seizures have become worse and more frequent. When Jesse has a seizure, it’s up to parents Janet and Nev to get to him quickly, make sure he is safe and comfortable and administer nasal drop medication to help bring him out of the seizure. It means they can never really rest. The mats are placed on the mattress and sound an alarm when seizures occur during the night to alert family or friends to go to them. 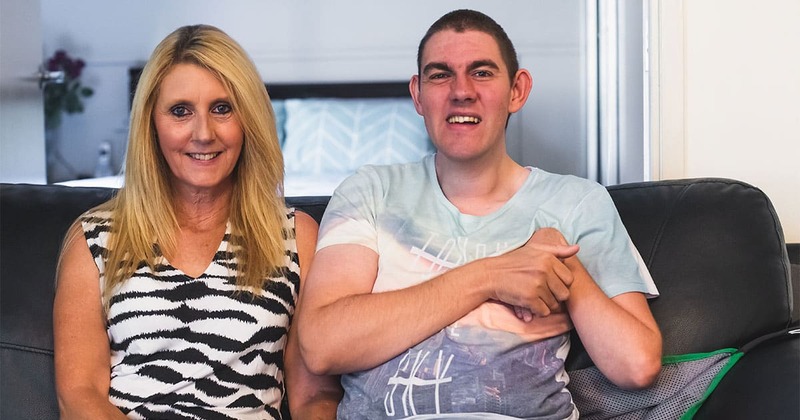 “I was told by a doctor many years ago that a seizure would one day kill Jesse and ever since, every time he has one I feel like if I don’t react quickly enough then he is going to die,” Janet recently told us. “One of my concerns is if I go to sleep and Jesse has a seizure and I don’t know about it, then I can’t get to him. “I’m a light sleeper and I jump out of bed all the time thinking he is having one - but often he’s not. Janet says knowing an alarm will sound when Jesse has a seizure has lifted the burden. Flinders Medical Centre epilepsy specialist, Dr Joe Frasca, says the mats not only provide reassurance for parents and family members, but importantly help save lives and prevent long-term brain damage. “When someone has a seizure there’s potential for trauma – they could fall out of the bed and injure themselves, suffocate, have a cardiac problem or if it’s a prolonged seizure then it could cause damage to the brain,” Dr Frasca explains. Janet, pictured with son Jesse is now closer to having a restful night and some peace of mind thanks to Santos. Tears, pain and anxiety in the Paediatric Emergency Department at Flinders have been replaced by the sound of giggling, with the arrival of a new piece of equipment nicknamed ‘Gus’.